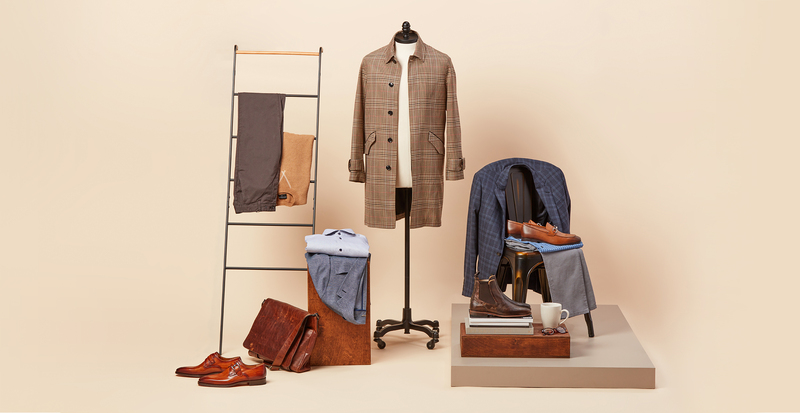 Dressing for work can seem challenging enough without the additional worry of your outfit being winter-appropriate, too. But the truth is, just like any work-related project, getting dressed is all about how you approach it. To help you dress for success, we enlisted the help of one of our expert stylists, Elise, who is sharing her tips on exactly how to look sharp and stay warm. Comfort is the name of the game when commuting to and from work. But to ensure you look every bit the professional when arriving at your destination, you’ll want to opt for wrinkle-resistant pieces. A sweater is great for hiding any unexpected creases on your crisp white button-down. Relaxed-fit pants made from stretch cotton will keep you at ease whether you’re at the desk or stuck in traffic. And to help your outfit from reading too bland, we’ve got a tip. “Don’t be afraid to mix your neutrals—you can’t go wrong with greys, blues, and browns,” Elise says. Between meetings and presentations, you’ll want a confidence-boosting outfit that helps you feel your best. For this, Elise suggests turning to elevated essentials in flattering cuts. Begin with a solid-colored dress shirt and wool trousers in an interesting pattern—both featuring slim fits. 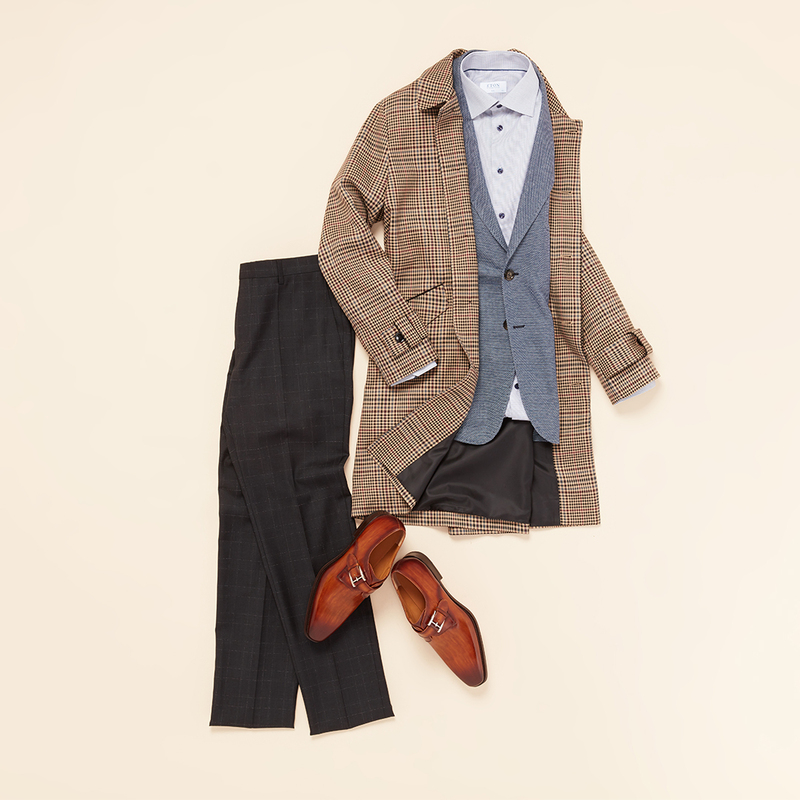 Add a lightly structured sport coat for an additional layer of warmth and to give the overall look a classic touch. 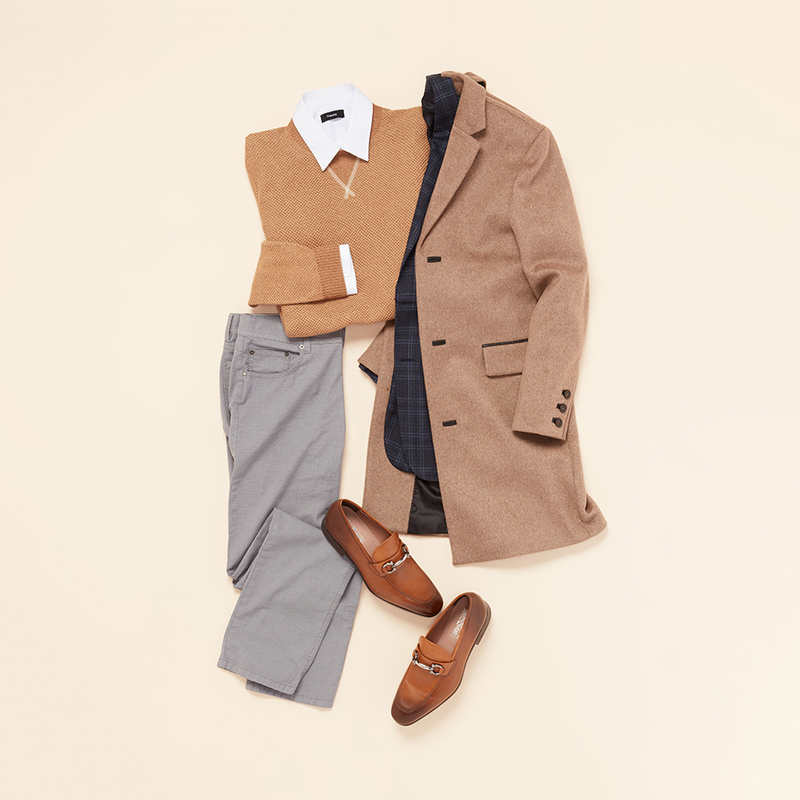 Bring everything together with brown loafers and a coordinating jacket. When the best day of the workweek finally comes around, you’ll want an outfit to finish strong. For a more relaxed approach to business casual attire, try pairing a sport shirt underneath a zippered pullover. If your office tends to be a little more on the conservative side, a blazer is a safe bet. 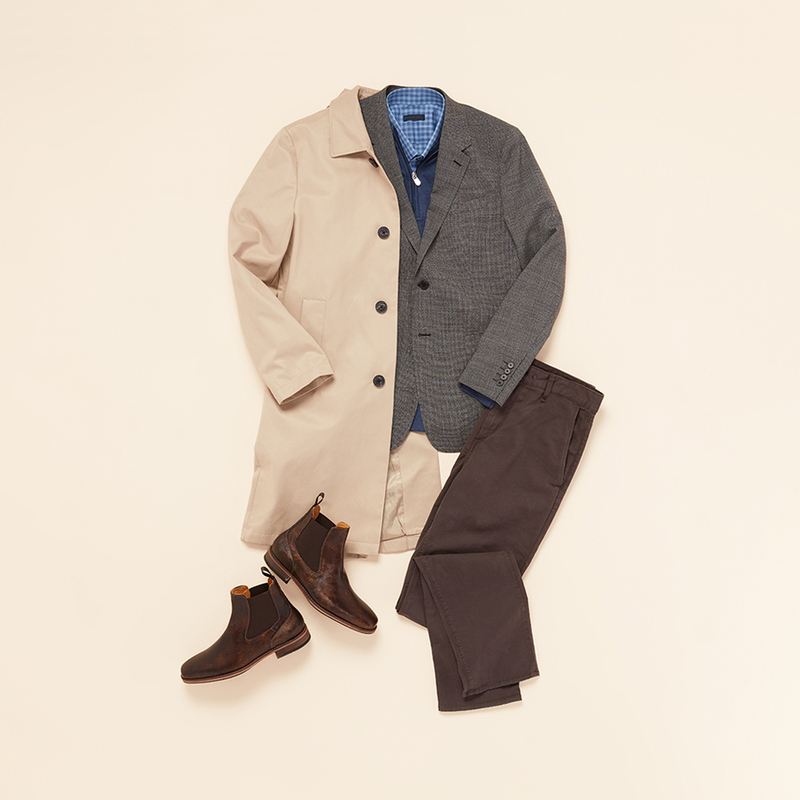 To keep with the casual theme, Elise suggests going for slim-fit chinos and mid-height Chelsea boots in lieu of dress shoes and trousers. “They’re so versatile and can definitely be worn for work and weekends,” she says.